It seems that pre-order pages for AMD Ryzen 2nd Generation processors popped a little early revealing the price and April 19 arrival of several chips. 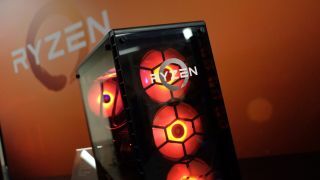 Videocardz picked up on several pre-order pages going live in North America and Europe that included listings for the six-core, 12-thread Ryzen 5 2600 and 2600X, as well as an eight-core, 16-thread Ryzen 7 2700 and Ryzen 7 2700X. Based upon the one remaining live pre-order page at the time of writing, the Ryzen 5 2600X will retail for US$274 (about £200, AU$350), putting it at a slightly higher starting price than its predecessor, the US$249 (£249, AU$359) AMD Ryzen 5 1600X. Meanwhile, a purported screenshot of a Tigerdirect preorder page for the Ryzen 7 2700X shows the processor retailing for $422 (about £300, AU$545), which is again higher than the previous Ryzen 7 1700X, which was originally priced at $399 (£329, AU$569) at launch. A screenshot of an Amazon.de pre-order page for the Ryzen 5 2600X shows a potential April 19 release date. If true, this would coincide with the expected launch of 400-series chipset AMD motherboards. The elevated prices would be a shame, but we’ve got our fingers crossed that these purported pre-order pages hold true and we’ll see AMD Ryzen 2nd Generation chips before long.